Officials in Burkina Faso have said a kidnapped Canadian geologist was found dead in the country's remote northeast, a border region infiltrated by jihadis. Kirk Woodman had worked for 20 years across West Africa. Canada's and Burkina Faso's foreign ministers, Chrystia Freeland and Alpha Barry, each vowed investigations to bring to justice the geologist's killers -- although by late Thursday no claims of responsibility had emerged. A dozen gunmen abducted Kirk Woodman on Tuesday night after rounding up staff at Tiabangou, where Canadian company Progress Minerals runs a mining site, near the borders with Niger and Mali. A spokesman for Burkina Faso's Security Ministry said Woodman's body was found at a location called Beiga-Salmoussi and was identified by colleagues. 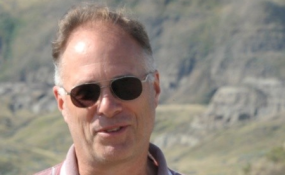 Progress Minerals said it was "heartbroken" by the death of Woodman, it described as a "highly respected geologist with a career spanning over 30 years, including 20 years spent in West Africa." Canadian aid worker Edith Blais and Italian Lucas Tacchetto are still missing in Burkina Faso. They went missing on December 15 between the western town of Bobo-Dioulasso and Ouagadougou, the capital. Eight foreigners have been abducted in Burkina Faso over the past four years, according to the French news agency AFP. Last week, General Moise Minoungou replaced Major General Oumarou Sadou as the armed forces head of the landlocked nation. Jihadi raids, first into northern Burkina Faso, began in 2015, culminating in March last year in an attack on Burkina Faso's military headquarters and the French Embassy in Ouagadougou. Since then, more than 270 deaths have resulted and been attributed to Ansarul Islam and JNIM (the Group to Support Islam and Muslims), a Maghreb al-Qaida branch. At New Year's, Burkina declared a state of emergency in seven of its 13 administrative regions, after 10 gendarmes were killed near the border with Mali. Inside Mali, Canada has 250 soldiers and eight army helicopters deployed. Also in the Sahel region - just south of the Sahara - are troops from the United States and European powers including France and Germany under UN flag.